A heat exchanger is a metal component inside swimming pool heaters, where pool water flows through a series of metal tubes heated by the pool heating elements. What is a swimming pool Heat Exchanger? A heat exchanger is a mechanical device that transfers heat from one medium to a different medium. The heat transfer in either direction: cold to hot, or hot to cold. Highly conductive metals like copper or iron are typically used to create a heat exchanger, as the more conductive the material, the more efficient the transfer of heat. Typical heat exchangers include Shell-and-Tube, and Plate exchangers, although there are many others. Heat exchangers are commonly found in natural gas, propane, and electric swimming pool heaters, but are also found in solar pool heaters, where the water is pumped through a large heat exchanger, with the entire device heated by sunlight. Heat exchangers can also be used to cool swimming pool water in very warm climates as pool water that is too warm is difficult to keep balanced. To assure the longevity of a swimming pool heat exchanger, proper maintenance should be done. Periodic inspection and cleaning should be done to the heat exchanger outer surface, as soot and debris can build up, quickly reducing the performance of the heater and accelerating the buildup of even more surface fouling. 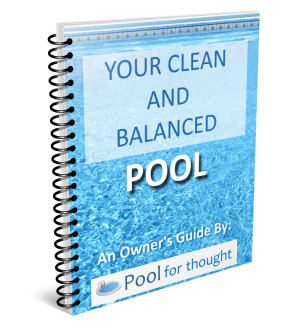 Keeping pool water chemically balanced is critical to reduce or prevent damage of heat exchange equipment. As corrosion is a key concern for heat exchangers, adequate water balance of the swimming pool must be done regularly to avoid corrosion and pitting of metal surfaces.